7k OBO, Mechanically sound, reliable 4x4 truck, will start in the coldest weather. 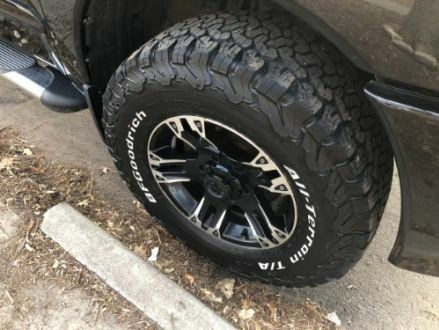 Great for off-road/snowy conditions, and good clearance for those hard to get to trail-heads. No frills base model interior, over-sized AT tires, bed liner, clean title. Purchased from dealer in 16', oil change every 7k mi, replaced front tie rods, wheel bearings, 2 yo battery, tires in great condition. Cloth interior, power driver seat, am/fm/cd player. 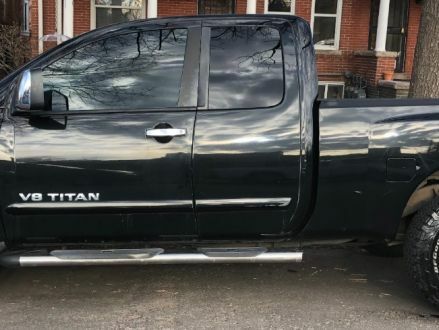 05' Nissan Titan 155k mi. great trail/snow vehicle! FOR SALE. 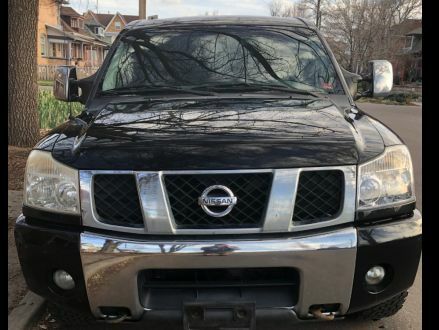 This is a Black 2005 Nissan Titan SE with Brown interior, Automatic transmission, Four-Wheel Drive, and a 8-Cyl. engine. 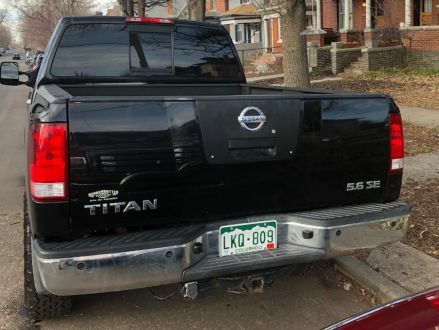 It's in Needs Work condition, with 155,000 miles, and located in Denver, CO.